2017-04-13 - Rupp Arena, 430 W Vine Street, Lexington, KY - Photo Photo courtesy Adair County School District. 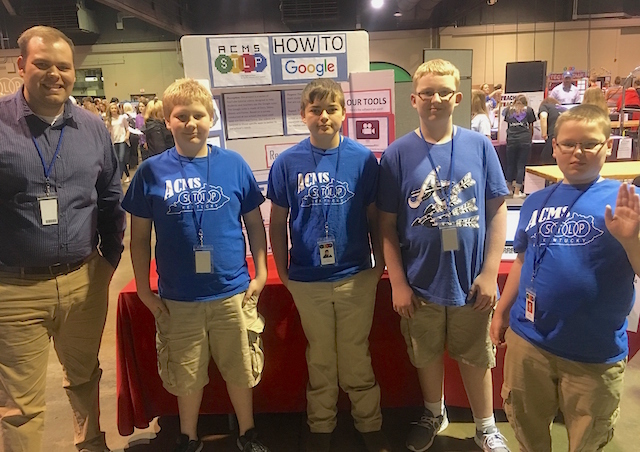 The Adair County Middle School STLP team members are, from left: Coordinator Adam Cox, Ian Grant, Coleton Wall, Hayden Hancock, and Chad Wiley. WES FEESE.